Happy Valentine's Day to all our Leaky Shed Studio followers!! It's Tracey here to share a special Valentine's project. 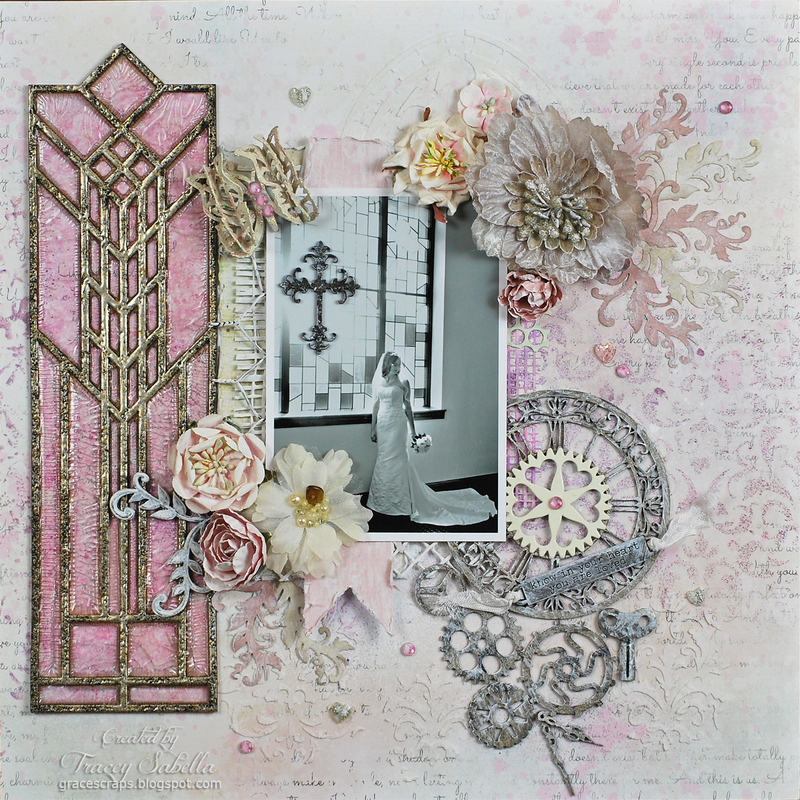 I created a layout with a love theme ~ the love our sweet daughter, Elizabeth, felt on her wedding day. I've used a number of Leaky Shed Studio Chipboard pieces, but really wanted to showcase the Prairie Grass stained glass window piece ~ so perfect to go with this lovely photo of Elizabeth standing in front of a stained glass window at the church. 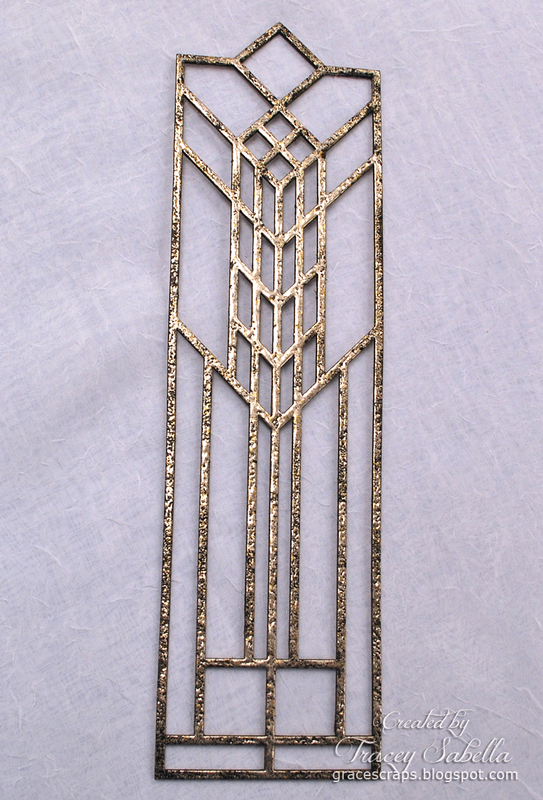 This gorgeous chipboard is the Prairie Grass piece. 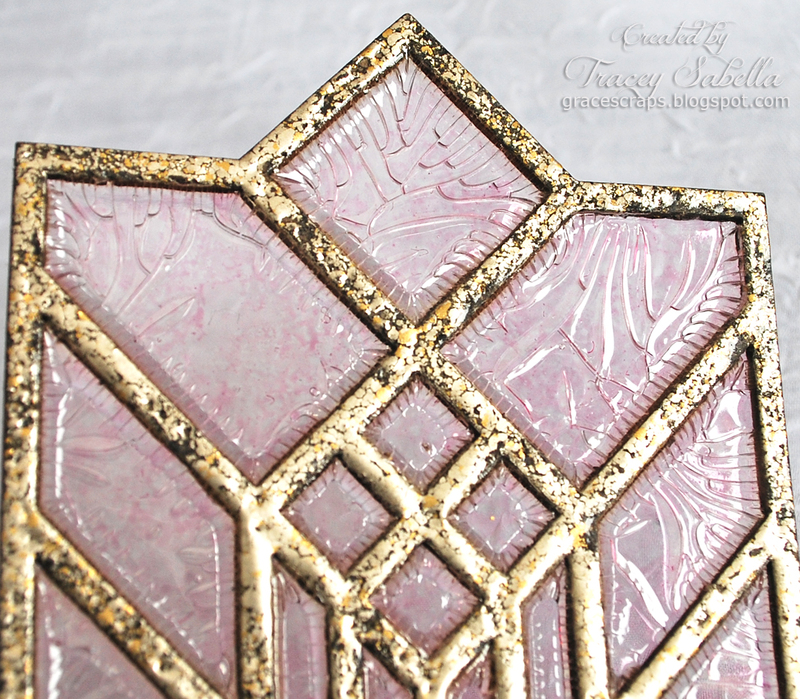 Details on how I created my stained glass window can be found in my tutorial below. Here I've used the Small Spring Butterfly. To get these delightful layers, I soaked it in warm water until thoroughly wet, then carefully split each wing into three layers and left the body intact. I painted it ecru, dried, then brushed Stickles across the wings. Several rhinestones on the body finishes it off. 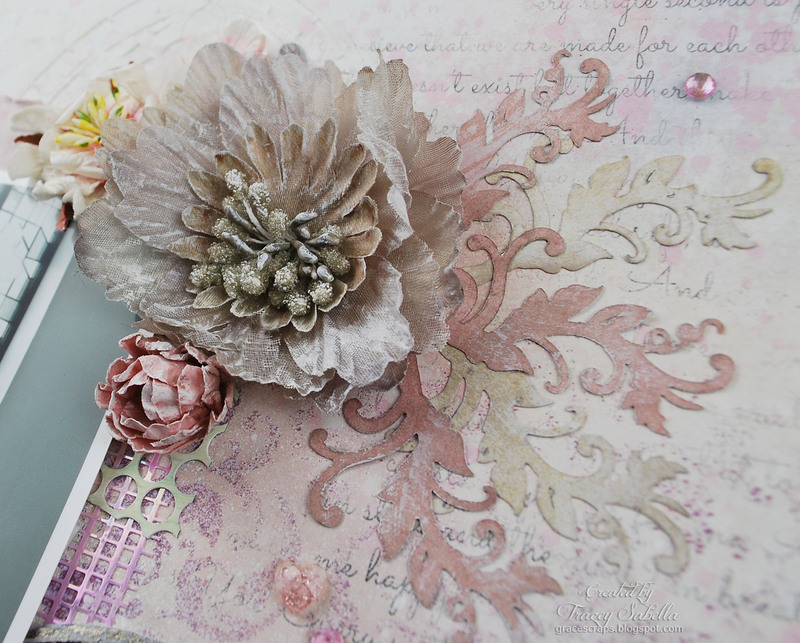 A mix of flowers dry brushed with gesso and layered die cut leaf flourishes which were inked and then dry brushed with gesso. You can see a couple layers of punchinella I've tucked under and around my photo. Another view of this sweet cluster. Leaky Shed Studio has a wonderful collection of clocks. Here I've used the small Clock #2 and watch parts. They were simply painted with metallic paint, then randomly rubbed with Ebony Rub'n Buff. Finally, I dry brushed them with Gesso. A Prima heart gear was a perfect fit for the center of the clock! This lovely flower cluster flows right on out over the edge of the window. There was a white spot in the photo where the sun was streaming through the window. 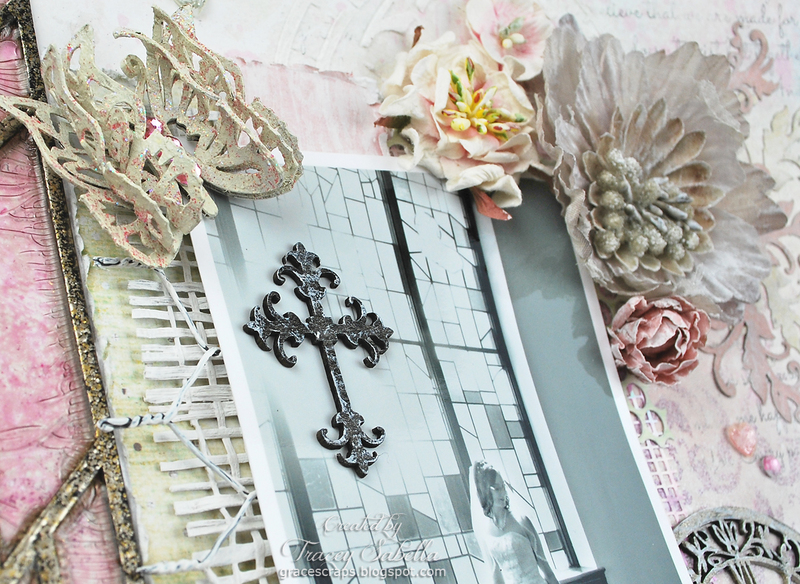 It looked bare on this black and white photo, so a cross from the cross set was just perfect to fill the space. You can see more of the goodies I tucked around the photo like this Abaca Ribbon and painted chicken wire. 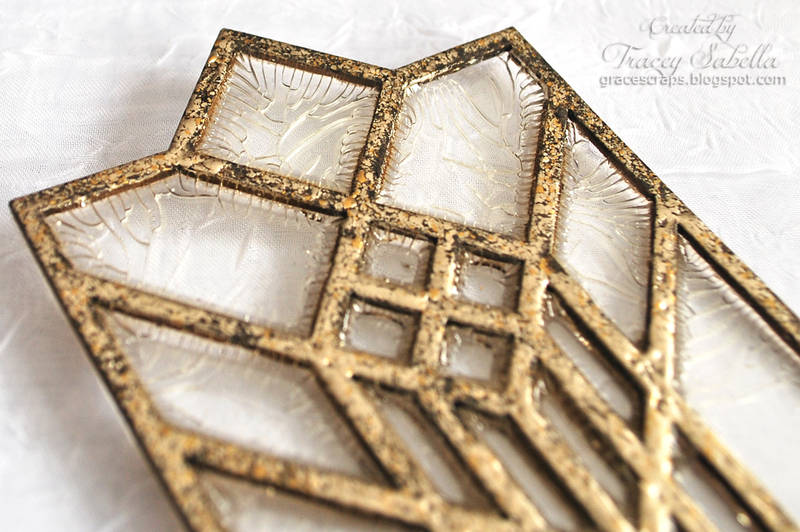 Now, here's my tutorial for the Stained Glass Window. Step 1. 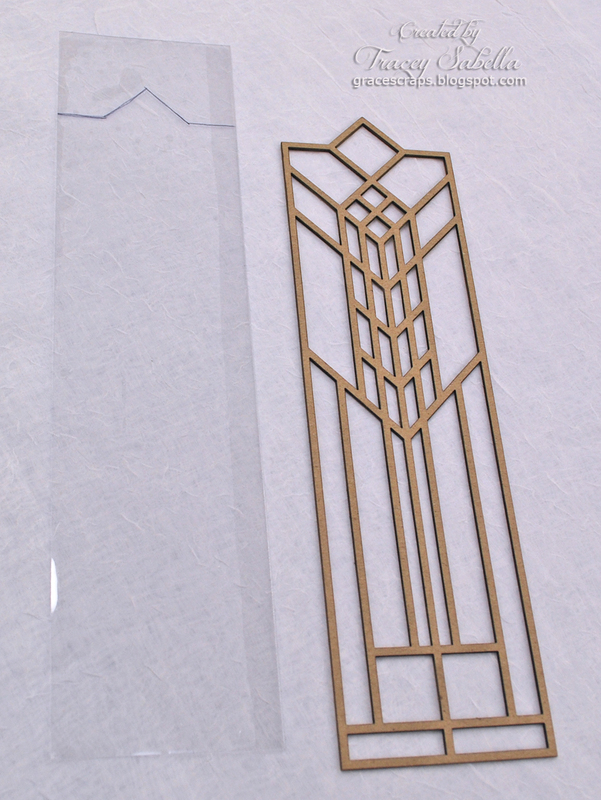 Cut a piece of crafting acetate or clear packaging to the width of the window piece. 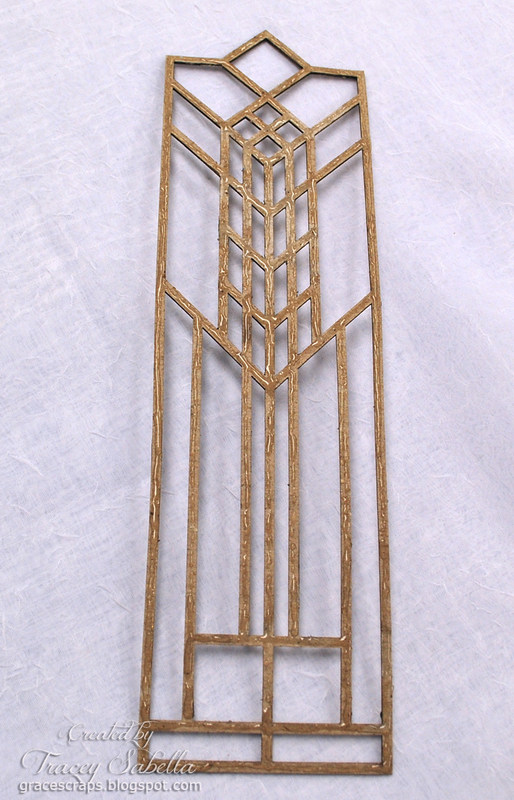 Place the acetate over the back of the chipboard piece and mark a cutting line for the top of the window. I used a Sharpie. Trim the top on the marked lines. Step 2. 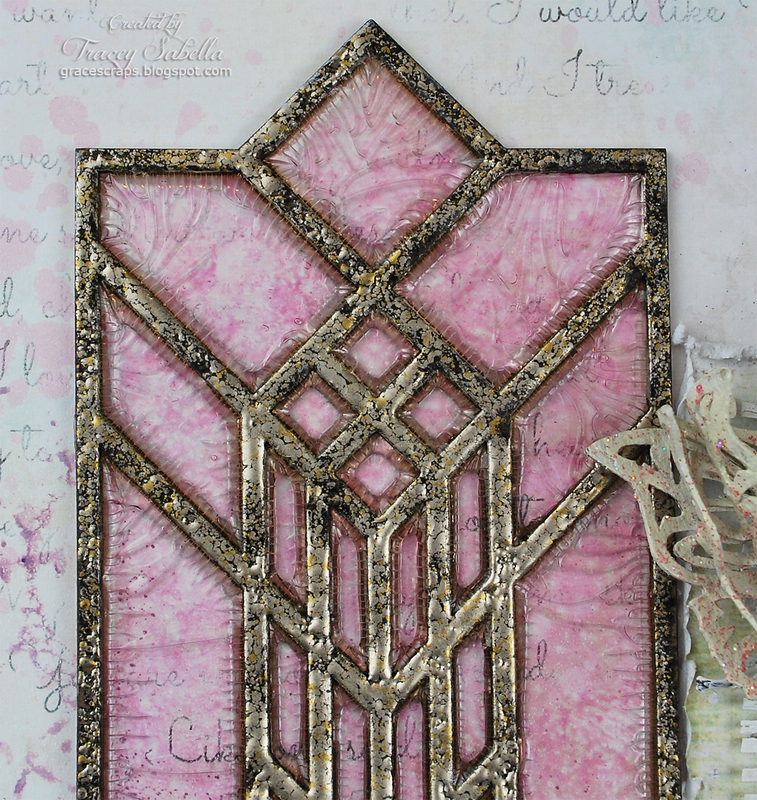 Heat emboss the window chipboard piece with embossing powder to coordinate with your project. 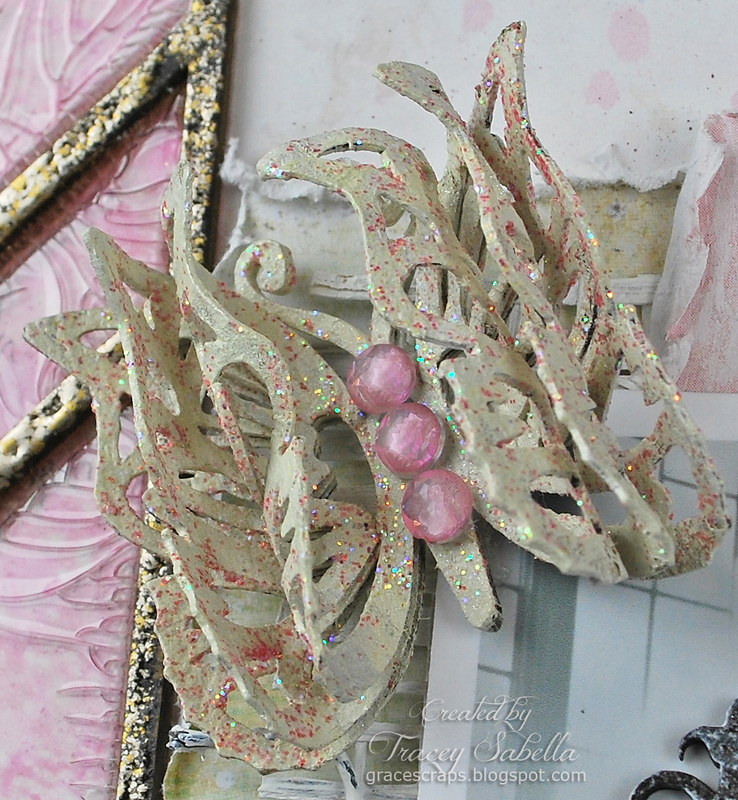 I used Fran-tage Aged Silver Embossing Enamel. Step 3. 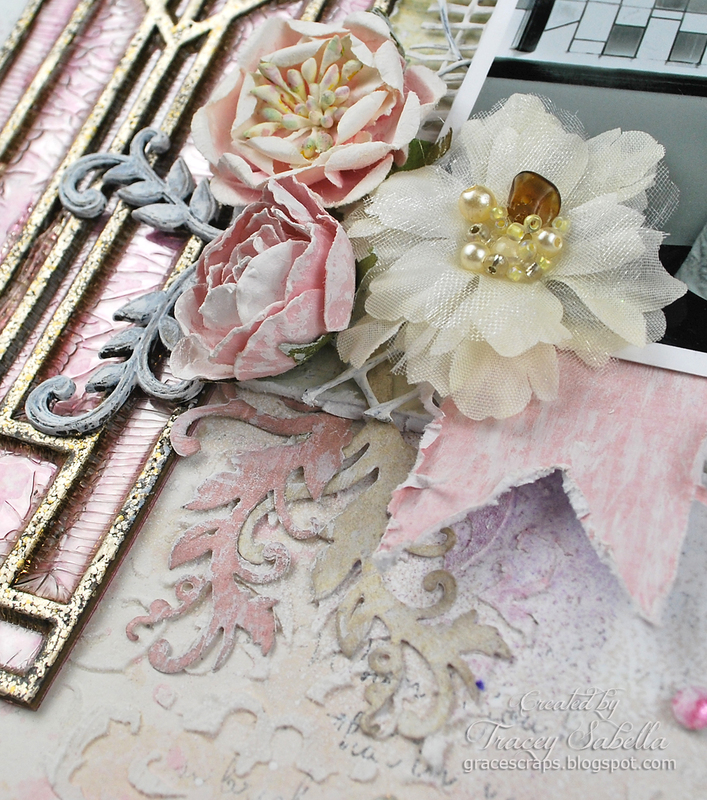 Apply a thin bead of Crackle Accents to the back of the chipboard. Step 4. Adhere the chipboard to the acetate by placing the back of the chipboard covered in Crackle Accents onto the front of the trimmed acetate. 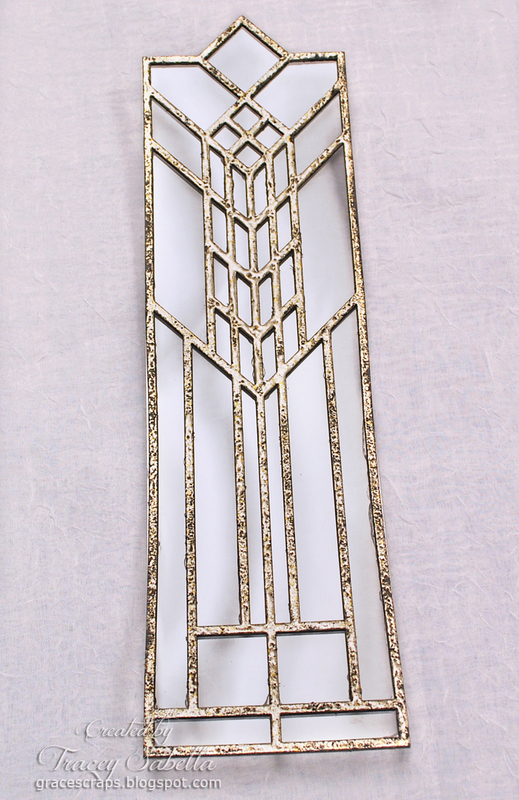 Don't worry if some of the Crackle Accents oozes out onto the acetate since in the next step you will be covering the window in it. Step 5. 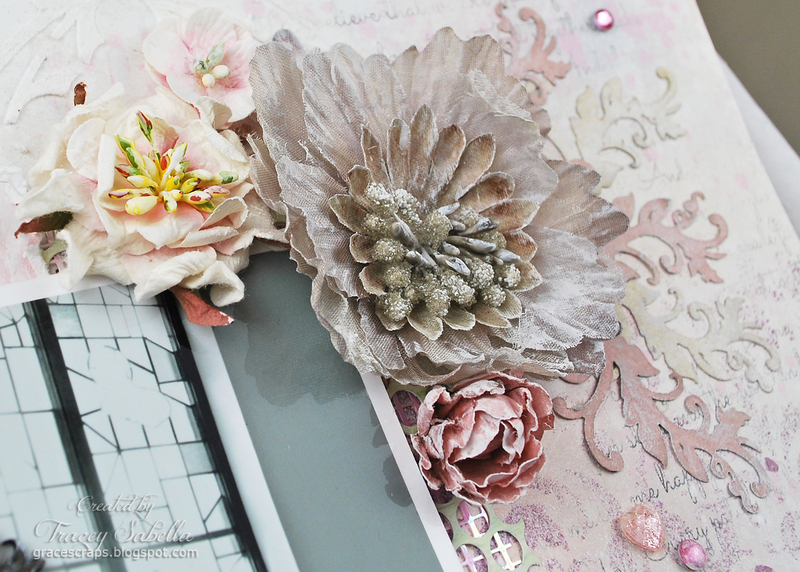 Apply a layer of Crackle Accents into each "window." ***Hint*** You do NOT want to completely fill the windows to the brim. Just a thin coat across the acetate, making sure to completely cover the entire surface. I removed the occasional larger bubble with a needle, however I did not worry about the tiny ones. I figured the bubbles would give the look of vintage glass. Step 6. Set aside to dry and crack. I allowed mine to sit overnight. Step 7. Apply alcohol in in the color of choice to the back of the acetate. I used a light pink. Because I used a monochromatic color scheme on my page, I kept my window the same color throughout; however, you could brush the alcohol ink on in different colors, using the chipboard frame as a guide. It just takes a few moments for the alcohol ink to dry and your Stained Glass Window is ready to use. Hint - to adhere to my page, I cut very thin strips of Crafty Power Tape and placed them on the back, lining it up with the chipboard so it isn't visible on the front side of the piece. 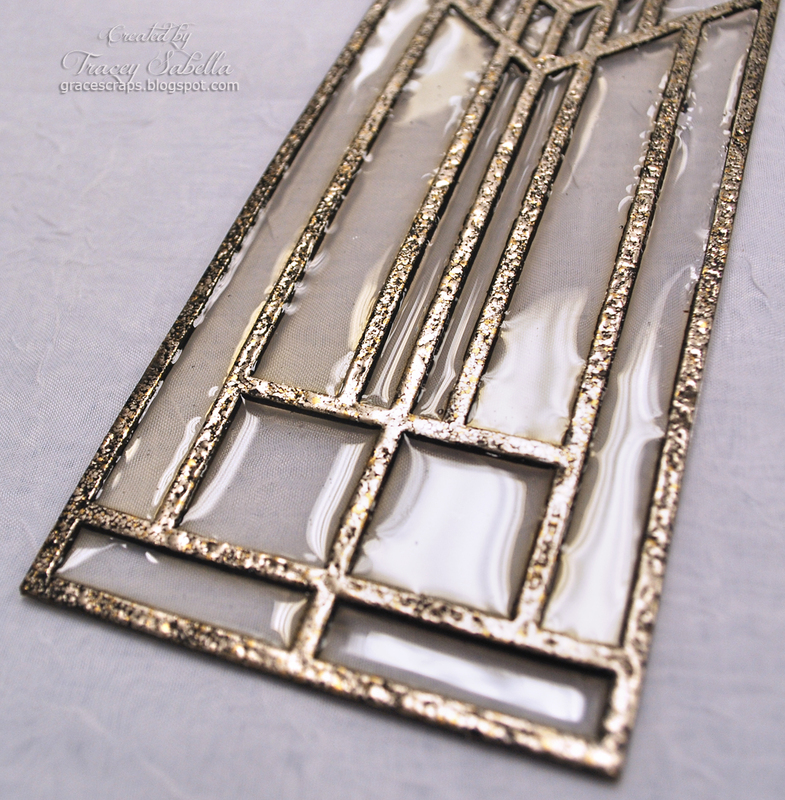 I hope you've been inspired to try your hand at creating one of these Stained Glass Windows. Wowwwwwwwwww! This is gorgeous! LOVING that stained glass!!!!!! it look easy to do. This is an amazing piece, and it does the perfect job of accentuating the photo in question without actually overpowering it. 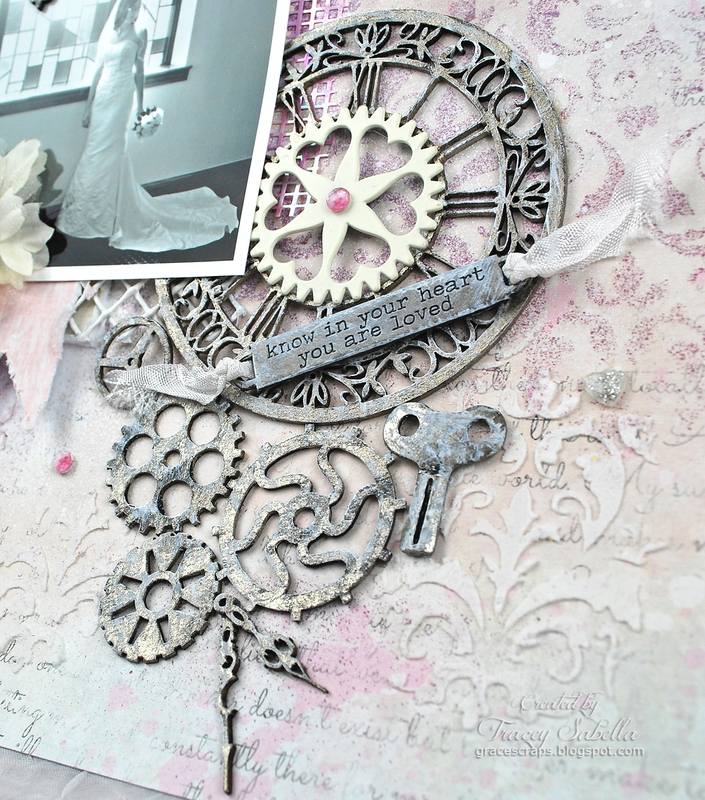 The colour scheme is just light enough to go with the black and white of the photo, and the inclusion of stained glass and the flowers and gears gives texture to the piece, preventing it from appearing flat and two dimensional.